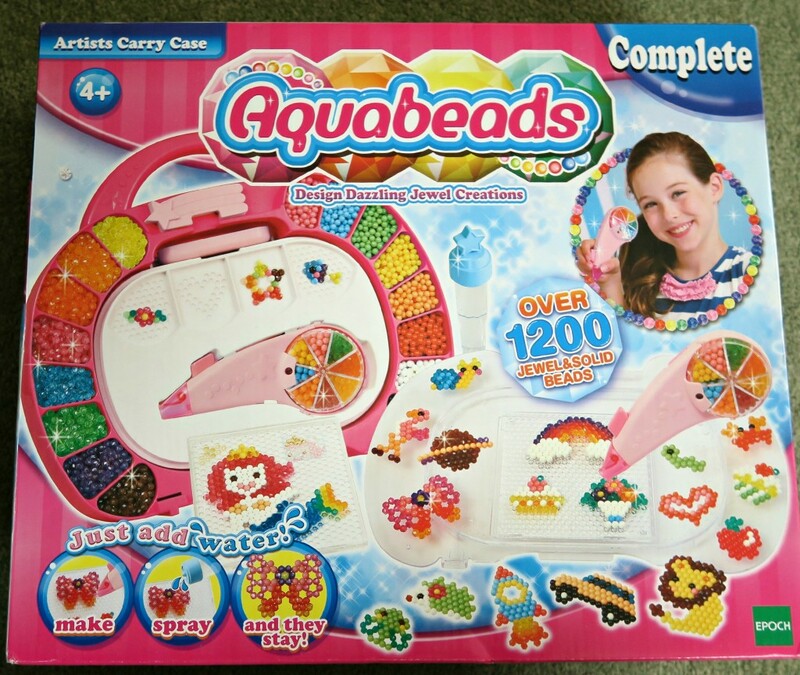 Whilst I was looking for Christmas Gift ideas for my kids I came across the Aquabeads Artists Carry Case I thought this was a great idea for my 6 year old twin girls. 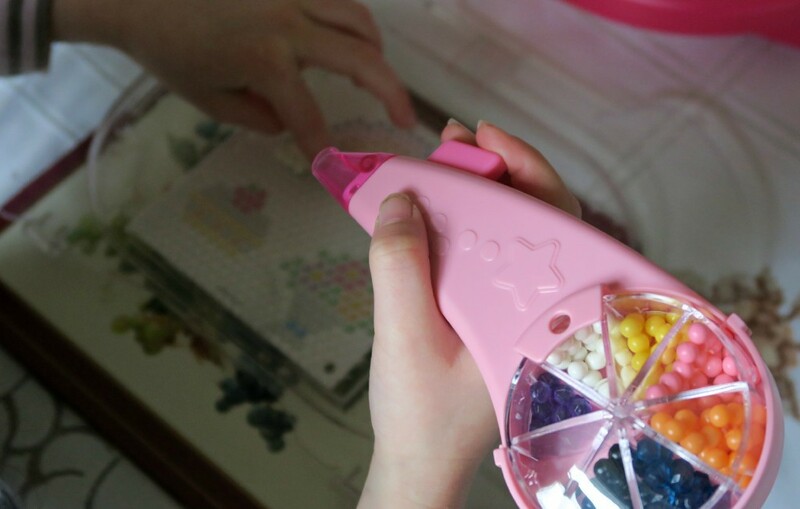 The Aquabeads artists carry case has around 1,200 beads in a large colour range with clear beads as well as solid beads. They have already taken a love to Aquabeads before but had a smaller set which came with a little case for the beads and a small pen dispenser. One of my daughters did struggle with the fine motor skills of the little pen so I was keen to get her to try the larger rainbow pen dispenser and see if she found this easier. It also has extra template sheets and a few little shapes in. The lid also has another base plate for you to make your Aquabeads creations on as well as an extra one inside. 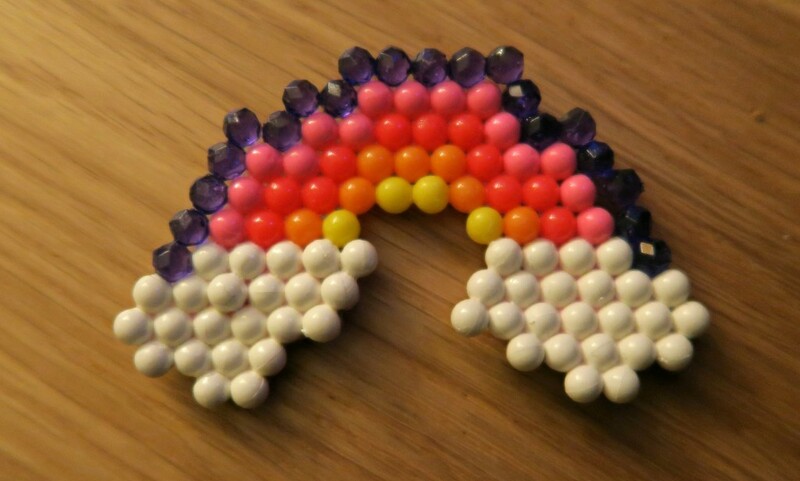 For those who don’t know what Aquabeads are, they are little beads that you place onto a board to hold them in place. You place a template picture on the underneath of the board so you can see through it and know which colour bead to place over. Once all beads are in place you spray down with water. Leave over night and their creation is all stuck together! 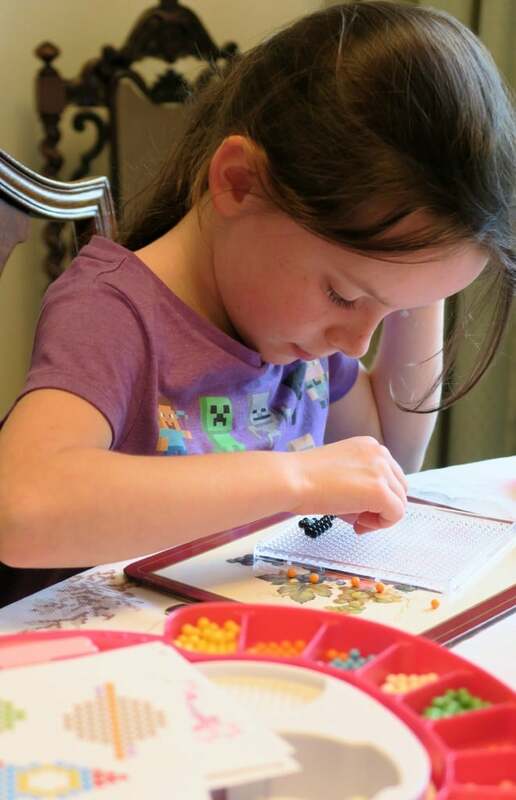 My little girl who struggled with the smaller pen had a go at using the larger pen, she decided that it was better just to pick the beads up with her fingers! 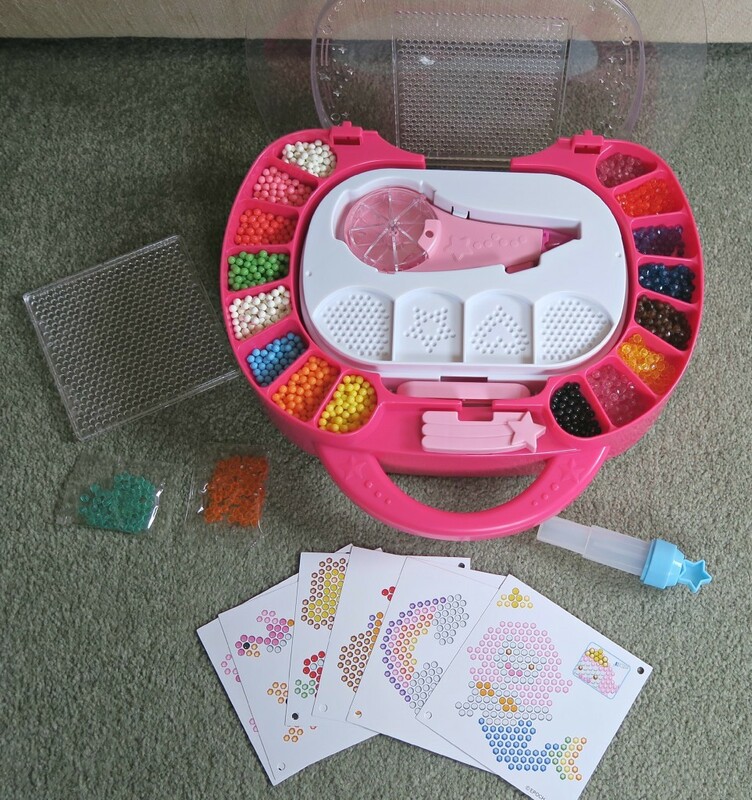 Both my little girls loved this set, they love that they can store all their beads and templates in and now they have more than 1 pen between them! Priced at rrp £29.99 I think this would make a great present for any kid, great for the fine motor skills and it helps them to be creative. *We were sent the Aquabeads Artists Carry Case for the purpose of the review. however all opinions are honest and of my own. 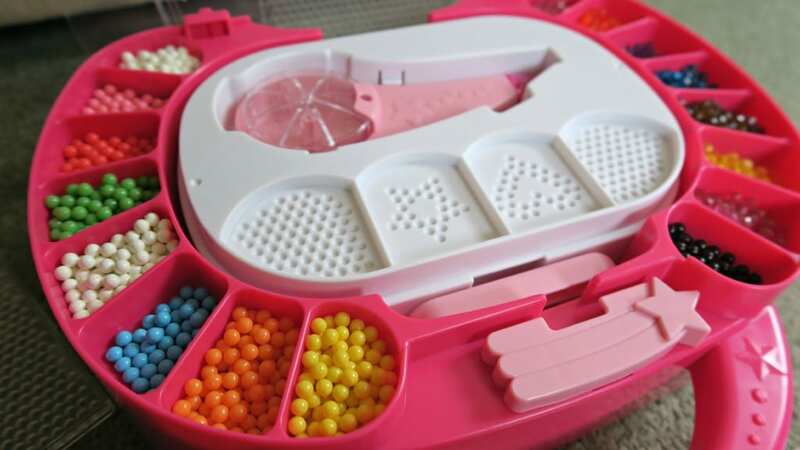 My daughter wants these aqua beads things. Seeing this post makes me think it should go on our Christmas lists. We’ve not tried aquabeads before, but I like that you don’t need an iron for them. I would have loved this when I was younger, so I know it would be an amazing gift to receive! My little boy is just too young at the moment, he’d devour those beads in seconds! I love aqua beads! It is amazing what can be made out of them! It looks brilliant! We’ve tried them before and found they work really well and my girl enjoyed them. I do love the storage with this and that pen!